Exactly. I think it would have been a lot better if it was presented as a pre-order where if you back the plane, then you get the plane free at release. VATSIM is slowly developing a CPDLC system. VATSIM has recently involved legacy P3D/FSX developers to include VATSIM's native CPDLC system into their products. I'd imagine that this would be very doable for most XPlane developers unless VATSIM shadows XPlane from this new system which is unlikely. Everyone needs to understand MilViz' point of view. MilViz makes extremely high-quality addons for P3D (an now XP). They are always at the leading edge with system depth and overall quality. As of now, I can count on 1 hand the number of addons in XP with that level of quality. Milviz is a bit different from most P3D devs and almost all XPlane devs whereas they hire full-time employees on salary to produce their products which take roughly 2 - 3 years to complete based on the global average. That years-worth of salary for around 4 developers (quoting their podcast) is not going to come from a tree or from a healthy investment. That money was opted to come from the Kickstarter. Remember that these devs don't make a whole lot of money off these products. They really only make enough to cover their development costs plus less as profit. Because of their reputation with spot-on systems, they opted to not use the Laminar FMS after it was brought up a few times in discussions. PR was a mess - a complete mess. Backers should have been ensured that they would get the plane free of charge IF they pledged more than or equal to the price of the product. Instead of this, they told some people that it would be included with the pledge and others that it was not. PR should have been handled better, perhaps with a full statement attached to the Kickstarter link which would have provided the answer to most questions and prevent the trolls from blowing it up as they did. Now because of the trolls (the vocal minority within the vocal minority), there are discussions about scrapping the XPlane project entirely. While XPlane is a relatively new platform from the eyes of legacy developers from P3D/FSX and high-quality developers from XPlane, this is normal in the P3D/FSX realm in which MilViz is apart of. Hey guys! 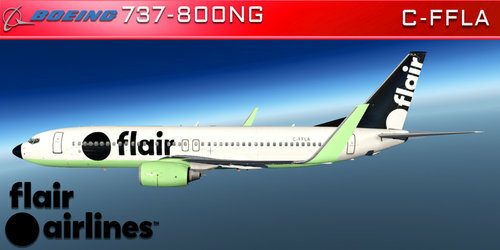 Here's a Flair Air (C-FFLA) paint for the amazing Zibo Modified Boeing 737-800. If you find a bug or a detail that is off or wrong, please write a comment so I know to fix it. If you like my work please consider buying me a coffee. Thanks! Coffee Fund Enjoy, Matheson THIS DOWNLOAD IS IN NO WAY AFFILIATED OR SPONSORED BY FLAIR AIRLINES. ALL APPROPRIATE RIGHTS ARE RESERVED. Hey guys! Here's a Flair Air (OK-TSS) paint for the amazing Zibo Modified Boeing 737-800. 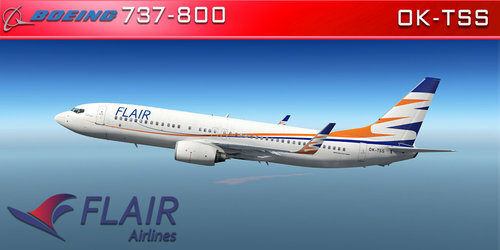 Flair currently operates a fleet of 737-800's wet-leased from Smart Wings. (Winter 2019) If you find a bug or a detail that is off or wrong, please write a comment so I know to fix it. If you like my work please consider buying me a coffee. Thanks! Coffee Fund Enjoy, Matheson THIS DOWNLOAD IS IN NO WAY AFFILIATED OR SPONSORED BY FLAIR AIRLINES. ALL APPROPRIATE RIGHTS ARE RESERVED. Thanks for the kind words! What exactly are WMA Controllers? Are they the factory controllers shipped with the VIVE/Rift? It works great for me with no teleport or hotspot issues, so I'll see if I can recreate it. Are you running any plugins or add-ons alongside the plane? Hey guys! 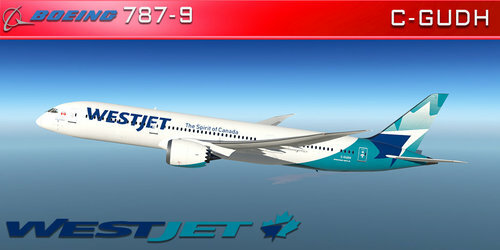 Here's a WestJet 787-9 (C-GUDH) painted for the Magknight 787. This paint is fully colour corrected to the real plane (achieved using personal photos in a hangar environment). 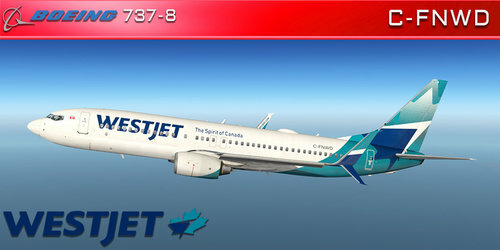 If you have a favourite WestJet 737-800 registration that you would like painted, drop me a message and I'll be happy to make it for you. (After than January 17, 2019) If you find a bug or a detail that is off or wrong, please write a comment so I know to fix it. If you like my work please consider buying me a coffee. Thanks! Coffee Fund Enjoy, Matheson THIS DOWNLOAD IS IN NO WAY AFFILIATED OR SPONSORED BY WESTJET AIRLINES. ALL APPROPRIATE RIGHTS ARE RESERVED. Hey guys! Here's a Sunwing 737-800 (C-GEWO) in TUI colours painted for the 737-800X (Zibo) version 3.31+. 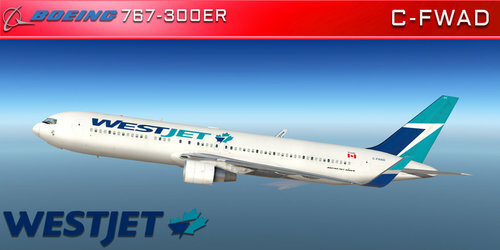 This paint was designed to be used with the Split Scimitar winglet option enabled. This paint was designed to be used without a SATCOM. If you find a bug or a detail that is off or wrong, please write a comment so I know to fix it. If you like my work please consider buying me a coffee. Thanks! Coffee Fund Enjoy, Matheson THIS DOWNLOAD IS IN NO WAY AFFILIATED OR SPONSORED BY Sunwing Airlines. ALL APPROPRIATE RIGHTS ARE RESERVED. Hi guys, Joe has worked on and released the SimVRLabs mod for the excellent PBY Catalina freeware by Hydroz Freeware: This﻿ is the SimVRlabs mod for the PBY-5A Catalina "Actual 9767" Variant only. This excellent freeware aircraft can be downloaded here: https://forums.x-plane.org/index.php?/files/file/38316-consolidated-pby-5a-catalina-9767/ I recommend you ﻿grab the PBR mod by Silentdark 666 here: https://forums.x-plane.org/index.php?/files/file/41004-pby-5a-catalina-pbr-mod/ This SimVRlabs VR mod went beyond the scope of the usual VR work. I made some actual custom upgrades to the cockpit to allow for excellent VR compatibility﻿:﻿ - Autopilot made to always show - ﻿heading and altitude hold only - Autopilot disconnect button (red button to the left of autopilot) - Panel png size doubled (2048 x 2048) to allow for new GPS's and future Avitab integration - Actual Laminar GNS 530 and GNS 430 brought in and configured for full functionality - Added heading bug for autopilot heading mode (turn the autopilot knob) - Added Gyro Sync button for directional gyro (click﻿ the gyro knob) - Remade all the buttons on the transponder - X-pad hidden ﻿ Then I performed the usual SimVRlabs treatment: - Throttles, Props, Hotspots, Knobs, Switches, Yoke, etc... Things that still don't quite work right:﻿﻿ - The ignition switch will not "hold" with VR controllers. I've tried many workarounds, but I believe I'm fighting against some SASL code that's preventing it from happening. So, for now, when doing the actual ignition start, I'm doing it in 2d with the mouse. I'll continue to try and track down a solution. - Would like to add a "needle" for the aileron ﻿trim gauge. Right now you can't tell when your trim is centered, except for feel. - I still have no idea where the parking brake is for this thing, so for now I've just bound it to one of my VR controller's buttons until I can get one brought in and properly modeled/animated (which I can do if I can get some intel). ﻿﻿ This took a very long time to do, many more hours than anticipated. Each Catalina variant is a massive undertaking to re-work (because each cockpit is so different). Would like to do the water bomber variant, as well as the modern variant in the future.